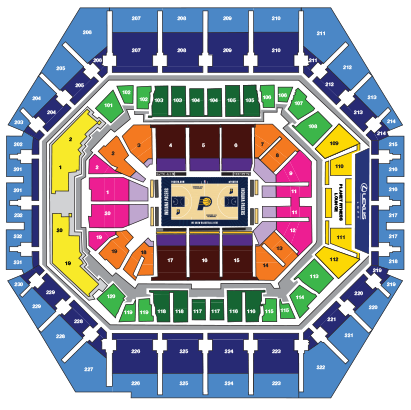 We reserve our best seat locations at Pacers games for our Full Season Ticket Holders. 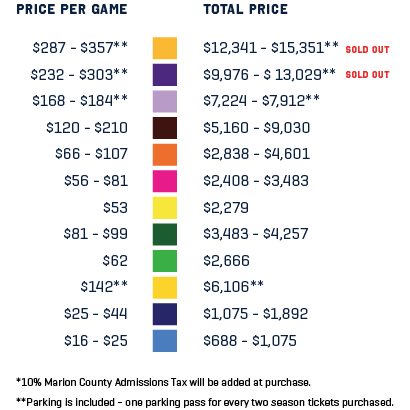 If you want the best price for Pacers home games, the Full Season Plan is for you. Your seat location is guaranteed for every game during the Playoffs through the NBA Finals. You and a guest will be invited to our Full Season Ticket Holder Party with the Pacers team. You will receive a 30% discount to Home Court Gift Shop to purchase all your Pacers Gear. You can transfer your tickets to anyone at no cost. It doesn't get much easier than that! The sections below are available for the 2019-20 Full Season Plan.